Reflection is personal. It is thinking deeply - pondering, cogitating, being introspective - about an experience, analysing those experiences, and then planning future changes based on what we have learned from our mistakes. 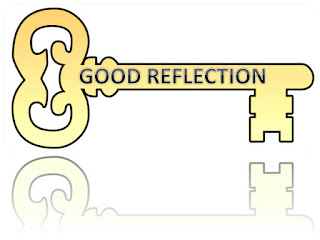 Reflection helps us understand what worked, so we can keep doing what we found was successful. Reflection, based on our new-found knowledge, lets us both build on and modify our past knowledge. Reflection is the key to learning. Reflection "involves revealing anxieties, errors and weaknesses, as well as strengths and successes" (Queen Margaret University, 2014, p. 1). It is deeply personal. 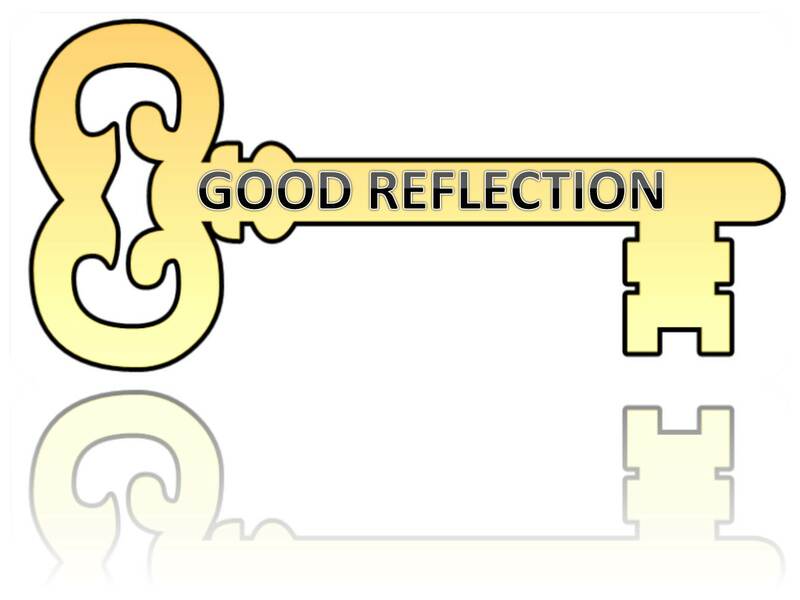 A reflective journal is where we think deeply about what has happened to us throughout the research process, and find our key learning points within that process. We then come up with some strategies for handling future events. To get best advantage, we really think about what we did well and what can be improved in each area of our project under consideration. We need to be paint-strippingly honest about our mistakes, to reflect deeply on what our learning is from those. We also need to consider what we would do differently next time, and in doing that, to come up with strategies and tools to prevent us from inadvertently repeating past mistakes. To get good value from the process, we must deeply examine our own performance, critically analysing and considering our learning over time, layer upon layer of peeling back. Sometimes we will not come to the actual learning for many years. Our learning is best to be quite specific, detailing named tools, concepts or techniques that we would use next time. Research shows us that if we get quite specific - concrete - we are more likely to remember those ideas and actually apply them (Quinton & Smallbone, 2010; Sheckley, Allen & Keeton, 1993).In other words, the learning gets sticky. To help prevent overthinking in the future, I will attempt to notice my behaviour pattern changes when I am starting to dwell too much and worry. When I notice my pattern, I will ask myself four questions: will this matter in five hours? In five days? In five weeks? In five years? To help prevent the behaviour starting, I will use a diary to apportion out small tasks within each area of a new project, including allocating planning time, and thinking time. Using a future structure based on the timeline I have used for this project will help to prevent me investing too much into something that needs far less time. I will also find a mentor for me to talk to, and explain my habit of over-thinking, and ask them to tell me if they think I am starting to overthink, or to over-complicate a project. If we were bad at planning, we might talk about specific tools - such as Google calendar or MS Project - that we will use to improve our planning in future. If your time management was poor, how you will overcome that in future is to break down your major goals into daily chunks, then to load your daily targets into Google Calendar as appointments. You will not dismiss any activities until they are done, to help you achieve the small goals, and build better habits over time. Reflection is a powerful thing. But we have to seek it out, and pursue it for a long time until it finally gives up its gifts! Quinton, S., & Smallbone, T. (2010). Feeding forward: using feedback to promote student reflection and learning–a teaching model. Innovations in Education and Teaching International, 47(1), 125-135. Sheckley, B. G., Allen, G. J., & Keeton, M. T. (1993). Adult learning as a recursive process. Journal of Cooperative Education, 28(2), 56-67.